Kalamazoo College teamed up recently with the City of Kalamazoo to create a bike route from the east end of the “Westwood Wiggle” to the west edge of downtown Kalamazoo at Stadium Drive. 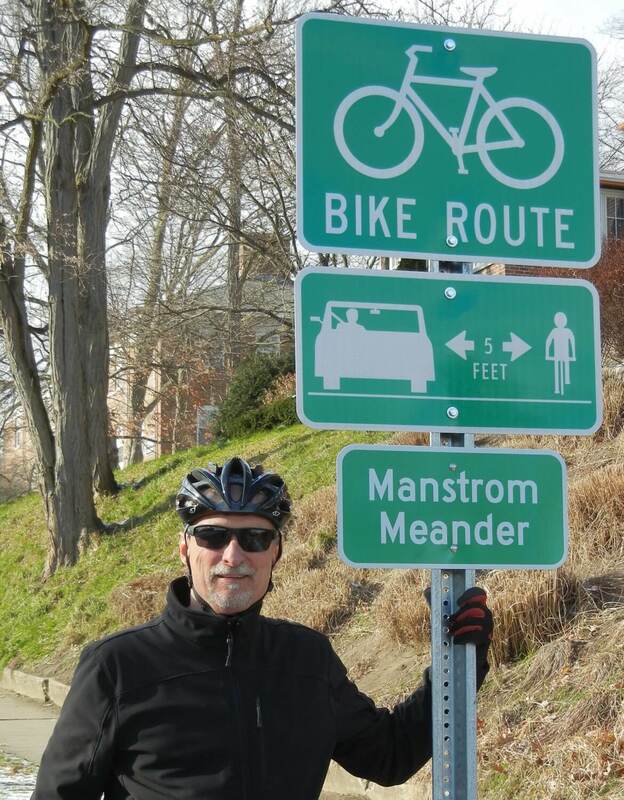 With a gift from an anonymous donor, Kalamazoo College funded installation of bike route signs, along with many “five-foot” signs, through its campus, along Academy St. 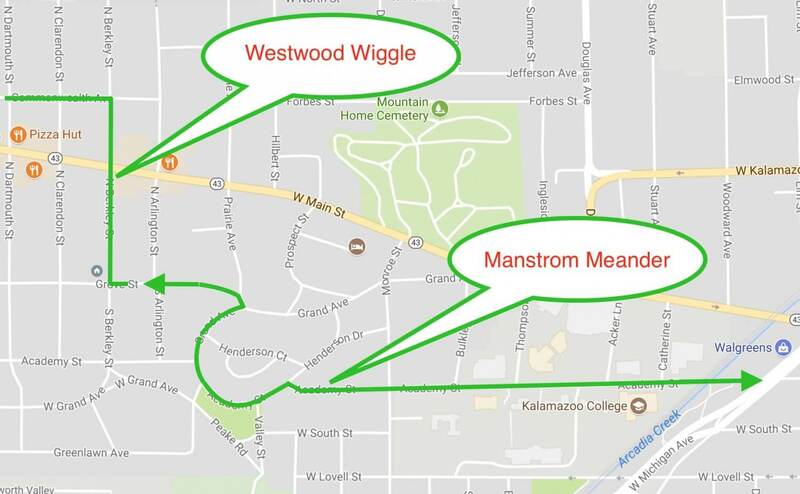 The new route extends into the West Main Hill neighborhood, where the new route connects with another newly established bike route, called by some the “Westwood Wiggle,” through the Westwood neighborhood in Kalamazoo Township and west to Drake Rd. The new bike route’s green line through K’s campus (see map below) has been dubbed the “Manstrom Meander,” in honor of Paul Manstrom, soon-to-be-retired Director of K’s Facilities Management (shown with signs below the map), and his tireless efforts to help make K as “green” as possible. As in the past, this effort to improve Kalamazoo’s bicycling and pedestrian infrastructure was brought to fruition through patient and persistent work (exerted over nearly a year) by Rebekah Kik, Community Planning and Development Director for the City of Kalamazoo.